Free India Minutes : 30 Free Minutes to Call India | Free Pc to Phone Calls, Free Voip Calls to India International ! 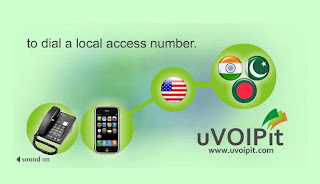 uVoipit offers Free India minutes, that is to make Free Calls to India. uVoipit is offering free international minutes to make voip calls anywhere in the world. uVoipit is a relatively new voip provider offering its voip services to make international calls. We blogged about uVoipit at the time it was launched. This voip provider received many praises about its voip service specially because it was working for middle east users. uVoipit works like an international calling card offering cheap calls to Bangladesh, Pakistan, India and other Asian countries. At the time of its launch, uVoipit offered free minutes so that people can try it for free. People can use this credit as Free India Minutes or Free International Minutes! Free minutes promotion is back with uVoipit now offering 30 free minutes to India. Actually, uVoipit is offering free trial credit worth $0.50 which you can make use of to make voip calls anywhere in the world. The free international minutes : that is the call duration will depend upon the country you are calling. For calling India, this $0.50 credit is worth 30 free minutes to India. All new customers get the opportunity to receive free $0.50 upon registration. Please note that the credit will be not be added immediately, uVoipit team will add it manually and can take from 1 to 2 hours of delay. This is to prevent the fraudulent registration just for getting more free minutes. This is a post Diwali promotional offer from uVoipit and more such free minutes offer are expected ! Another good thing : in addition to getting free minutes, effective November 10, 2010 to December 10, 2010, prices to India Bangladesh and Pakistan will also decrease. We have already discussed the calling methods (uVoipit) in our previous posts. You can use these Free India minutes to make free Pc to Phone calls, or you can make calls directly from your phone (works like a calling card). Make use of this Trial credit by uVoipit, make call to India : 30 Free minutes! Let us know your feedback on uVoipit, it is very important to us. good connection to India. I got my $0.50 about 2 hours after I registered. Thanks for sharing this info with us. Definitely I'll try it.